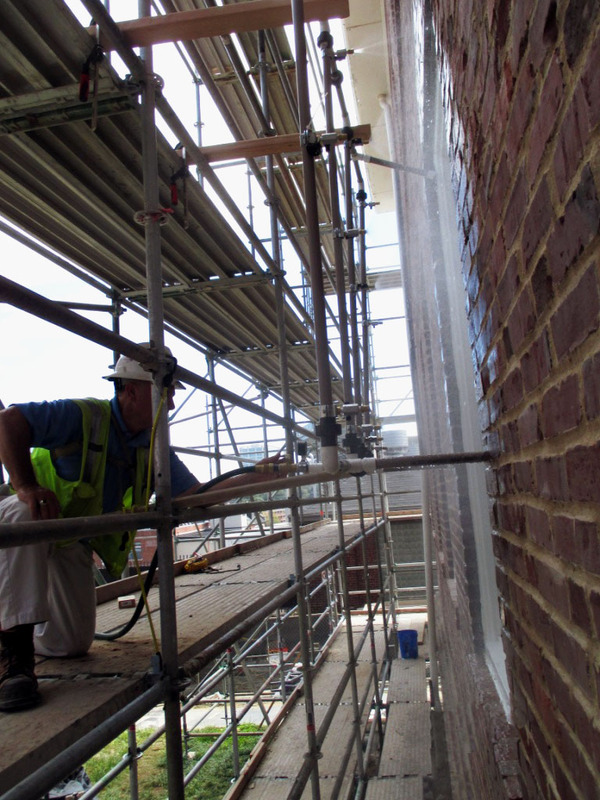 Raymond Engineering was retained to complete six ASTM E 1105 window water penetration tests on the Lloyd W. Chapin building which was under renovation. For each test, a negative pressure chamber was constructed on the inside of the windows, and maintained during the tests. 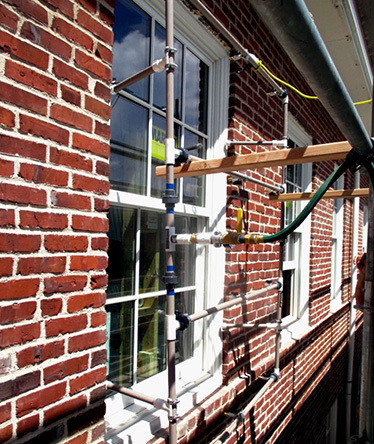 The spray rack (set to match the ASTM Standard settings) was then placed outside each window, sprayed at a constant pressure for fifteen minutes to determine if any water infiltrated the window. 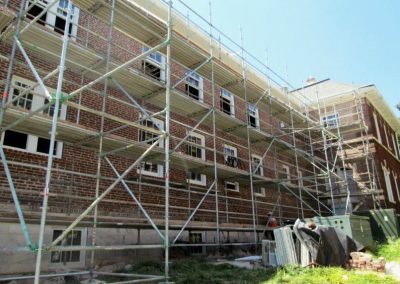 Due to the historic integrity of the building coupled with the fact that the inside brick finishes were very dusty and brittle with a chalk-like plaster, Raymond Engineering had difficultly constructing an airtight seal on the windows. For some of the windows, extensive cleaning with wire brushes and rags along with using strong adhesive substrate tape was required to stick and form the seal around the window. At the window areas where there was exposed brick, the contractor built 2x4 frames around the inside of the window. Frames were then sealed with tape. 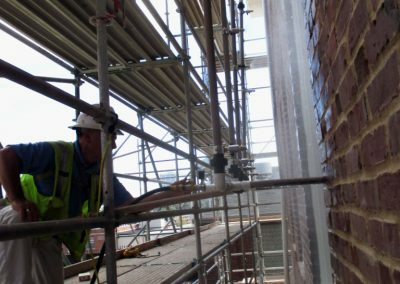 After each test day, we provided detailed results along with photos and recommendations of remedial work that would be required. 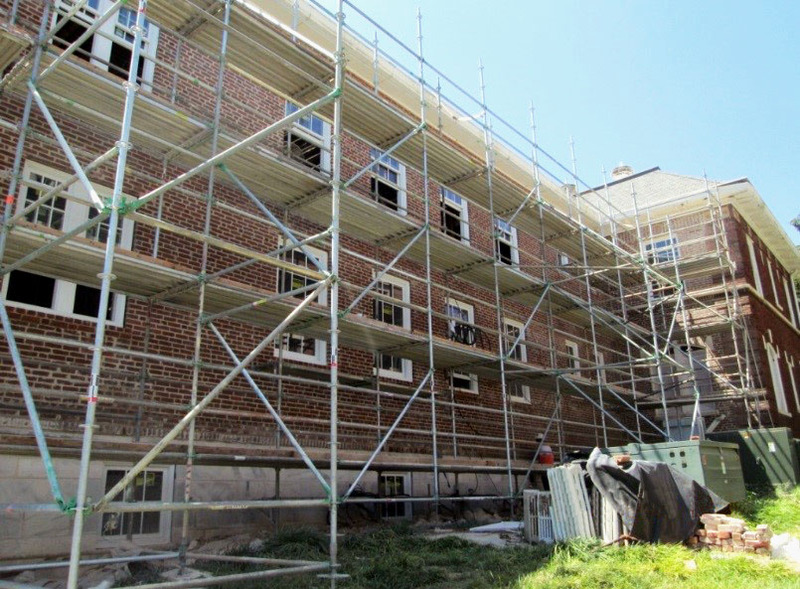 Precautions were taken avoid interfering with the historical integrity of the building.